With direct access off of East Ohio Street, Café Integral is a new feature for the Freehand brand. 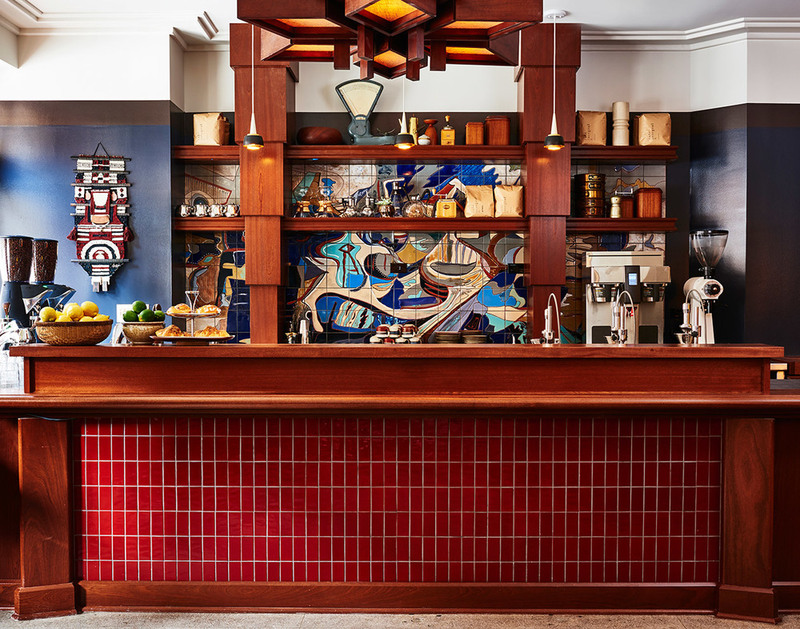 Its painterly tile mural, by local artist Carol Payne, evokes traditional mid-century crafts and embodies a beautiful fusion of the disciplines of art and architecture at Freehand Chicago. Full of dynamic pattern and texture, this piece sparks a conversation with the similar mural above reception, creating an immediate resonance upon entering the hotel.